I always buy any kind of box, crate or trunk that I come across. They are fun to re-purpose and so useful. It's even better if they come with a story! This was used in gold mining. 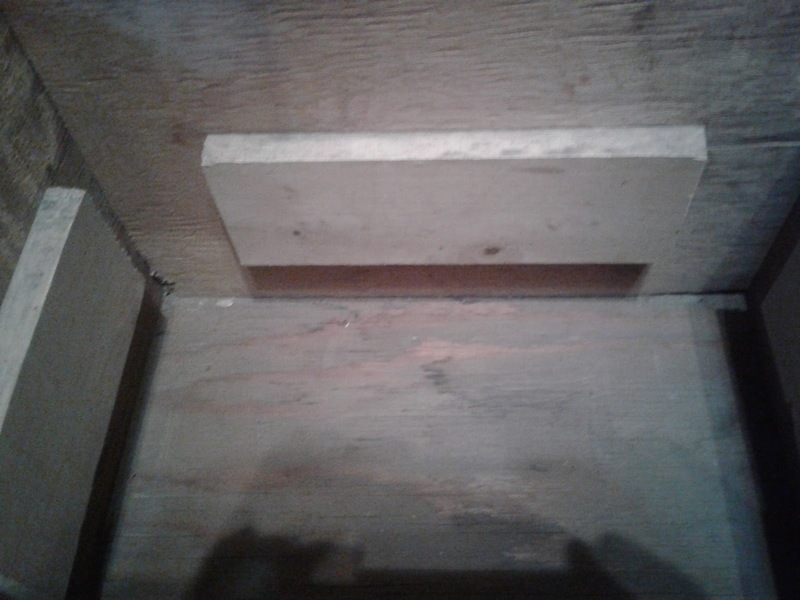 There was a wooden tray with a grate that set down inside of this box for sifting. 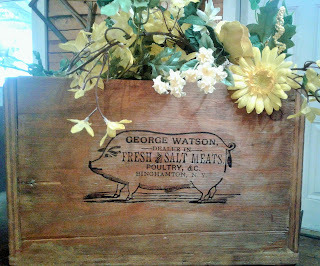 That was turned into a fun tray with a Farmer's Market stencil. I wanted to try a transfer using our new printer, so I went to www.thegraphicsfairy.com to find one. I settled on this graphic, which I reversed and applied. I had some problems with the transfer, so I left some of the paper on and applied some poly over it. 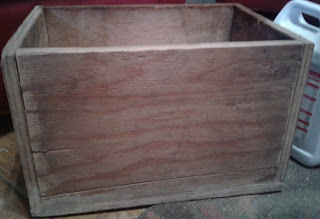 I also used some maple gel stain to give it a nice patina. You could use it in so many different ways. Here I filled it with some bright yellow artificial flowers. It will be at the cabin on opening day! So, so cute ~ great job! 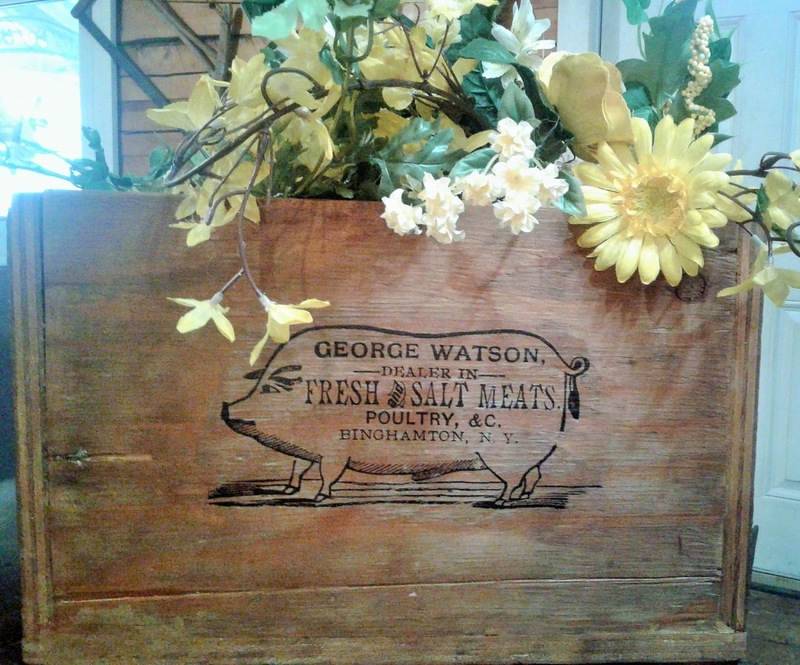 The pig graphic is great and looks so good on your crate. Thank you so much for sharing at Vintage Charm. Terri Lee at the Rescue Rehab cabin!!! Wine Barrel Table is done!